was the big winner this year with the power soca monarch competition. Machel took 'advantage' of the People's partnership party offer to increase the prize money for this year's competition from one million to two million TTD. With that, Machel was back in the game after not entering the competition for close to a decade. Day two pon di road Carnival Tuesday was the true depiction of what Is coined 'the greatest show on earth'. That is the day where the entire island is on display wearing nothing but beaded bikinis covered in features and jewels. The parade gets started on the main avenue at 7am sharply and goes until roughly 10pm. some bands even doing a 'last lap', a final jump around the streets of woodbrook before the final lights out and official starting of the lenting season on ash Wednesday. This year was special with the return of the grand savannah stage which has been under construction. Masqueraders enjoyed themselves to the fullest waiting to break into their worst behavior, or display as little as they have for the judges. Trinidad carnival hosted tourists from all across the world this year, including areas where carnival is not even part of their culture but definitely one that can be enjoyed by many. The US, Canada, England, Africa, Russia, South Africa and the Philippines are among the countries who I observed and spoke it. Its great to see the culture so wide spread and of interest to so many non trinidadians. Infact, this years several other Caribbean islands came across to T&T for a little fun during the carnival festivities week. Best of all, day two is about having fun with your posse, especially since it's only one time of the year. And as much as I love it, one time is enough. When your legs feel like you want to buy a new pair, that means you truly enjoyed everything there was to offer. was the big winner this year with the power soca monarch competition. Machel took 'advantage' of the People's partnership party offer to increase the prize money for this year's competition from one million to two million TTD. 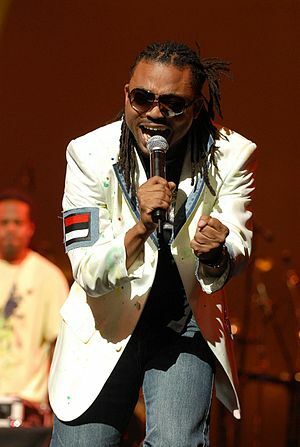 With that, Machel was back in the game after not entering the competition for close to a decade. \n\nDay two pon di road\nCarnival Tuesday was the true depiction of what Is coined 'the greatest show on earth'. That is the day where the entire island is on display wearing nothing but beaded bikinis covered in features and jewels. The parade gets started on the main avenue at 7am sharply and goes until roughly 10pm. some bands even doing a 'last lap', a final jump around the streets of woodbrook before the final lights out and official starting of the lenting season on ash Wednesday. This year was special with the return of the grand savannah stage which has been under construction. Masqueraders enjoyed themselves to the fullest waiting to break into their worst behavior, or display as little as they have for the judges. \nTrinidad carnival hosted tourists from all across the world this year, including areas where carnival is not even part of their culture but definitely one that can be enjoyed by many. The US, Canada, England, Africa, Russia, South Africa and the Philippines are among the countries who I observed and spoke it. Its great to see the culture so wide spread and of interest to so many non trinidadians. Infact, this years several other Caribbean islands came across to T&T for a little fun during the carnival festivities week. \nBest of all, day two is about having fun with your posse, especially since it's only one time of the year. And as much as I love it, one time is enough. When your legs feel like you want to buy a new pair, that means you truly enjoyed everything there was to offer.